Have a Peace of Mind with Fully Managed VPS hosting! - Starts Just @ € 25.99* /mo. Powerful and Secured Fully MANAGED VPS Hosting with FREE cPanel. Focus on your expertise and let us handle the VPS for you! Discounts are applicable on Quarterly Subscription. ScopeHosts Fully managed VPS hosting comes with unbeatable Easy server management, Instant Scaling, Guaranteed 99.9% Uptime Guarantee, Latest software and Security Updates. Our Managed Virtual Servers(VM`s) or Virtual Dedicated Servers(VDS) are suitable for hosting websites using Wordpress, Joomla, Drupal, Magento, PHPBB, PrestaShop or Dolphin. We have wide range of 7 VPS packages to satisfy any budget and needs. All Managed Virtual Private Server Nodes are powered with OpenVZ Virtualization Technology, Pure Enterprise SSD`s mounted on Hardware RAID-10 Controller, 1Gbps Network Line and Free Standard DDOS Protection without any additional charges. ScopeHosts Fully Managed VPS Hosting lets you concentrate on business development and we will be your backbone to fixing things. Premium cPanel/WHM Panel with Linux and Plesk Only with Windows are provided for FREE along with VPS to easily and efficiently manage websites. Fully Managed VPS includes industry-standard security viz, Private Firewall, malware/trojan protection, DDOS Protection and many more. We provide fully managed support on all packages. We will go out of our terms to help you in a difficult situation. We will become part of your business and growth. We use best available premium enterprise-class hardwares with Managed hosting. Latest HP, Dell, Supermicro Servers are available to ensure top level reliability. Additional IP Address - € 3/mo. Additional CPU - € 5/mo. Additional 10GB SSD - € 3/mo. Litespeed (<= 2GB RAM) - free + setup - € 5.00/mo. Softaculous 1-Click Installer - € 1.99/mo. Litespeed (<= 8GB RAM) - € 8.99/mo. Not satisfied with existing hosting provider? Want to Migrate? We will migrate you free of cost without any hiccups, making sure downtime is kept minimal. Experience speedy hosting with our Managed VPS hosting service. Get exclusive SSD enabled Virtual Private Server for 20X faster performance of your business. Managed Hosting, a low cost vps hosting service is an ideal solution to get full dedicated server advantages at a lesser expense with managed support interminably. Ready made Packages does not suit me! Looking something custom as per own requirements, just get in touch with us and will deliver best hosting solution for you. VPS IP`s are configured with free 1Gbps DDOS protection, handling upto 500k PPS volume attacks. Our system scrubs all unwanted traffic & gets filtered traffic. We install, configure and update apps and plugins your website needs. Let it be CMS, Image Galleries, e-commerce, Bulletin Boards, Blogs and many. ScopeHosts Unmanaged VPS Hosting with Free SolusVM Panel is user-friendly and allows user to dominate on VPS Hosting activities. 1. What Is Managed VPS Hosting ? Ans: Don’t have Knowledge on Server Management? Let us Manage it for you. Scopehosts offers easily scalable Managed VPS hosting services with 24/7 award winning Support. Let Our Experts handle VPS with configuration, optimization, 24/7 monitoring and security audit. 2. Confused about Location to host website? Ans: ScopeHosts make it easy for you to decide and select the suitable location. Our Managed hosting servers are located at TIER III Datacenters in Netherlands(1Gbps) and Russia(100Mbps), Providing Best Network connectivity and ease of hosting any type of applications. 3. What makes Fully Managed VPS hosting unique? Ans: Host Business with ScopeHosts high powered Managed VPS hosting having Free cPanel, Host multiple Domains, Web Applications, Blazing Fastest SSD`s performing 20X Faster, World-Class 24/7 Awarding Winning Support, and maintain weekly backups. 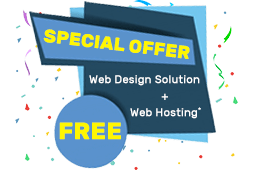 Enjoy the complimentary Hosting perks with ScopeHosts Managed Hosting Solution. 4. How good is the Management Support? Ans:We really don`t like to praise ourselves, but awards given by many hosting review companies for our excellence in service and support gives it all about our team commitment and dedication in serving customers. ScopeHosts provides 24/7/365 Managed Support with Managed VPS Hosting. Get Instant assistance on all your technical queries. High priority support always make you feel peace of mind. 5. Can I customize my Managed VPS Hosting plan? Ans:Yes, You can customize your VPS plan anytime. Check out our Instant Addons. ScopeHosts provides easy and affordable upgrades suitable to your business standards. 6. How good is the protection for my Business with ScopeHosts? Ans: We can just say, you are with safest hands in the Industry. We commit to provide high security audit for your business. Protecting you from Malware, Trojan and other malicious attacks. We also offer Standard DDOS Protection upto 1Gbps Volume network and 500k PPS attack, shielding you true traffic. 7. What is included in fully managed vps hosting? Ans: This managed hosting solution includes premium VPS hosting features along with 24/7 management support by our technical experts and Free cPanel. Ans: No, with this hosting service we do not offer money back. A FULL Refund will be issued to Shared Hosting, Wordpress Hosting, Reseller Hosting, VPS Hosting, Business Hosting Only. Ans: Our highly configured servers are located in Netherlands and Russia. 10. How long does my account activation takes? Ans: Your hosting account will set up instantly, as soon as the payment is received. 11. How can I request for cancellation of my hosting account? Ans: Through your client area if you request for immediate service cancellation, then your account will be canceled immediately. If not immediate service cancellation then your account will be canceled after the end of billing period. Ans:ScopeHosts make it easy for you to decide and select the suitable location. Our Managed hosting servers are located at TIER III Datacenters in Netherlands(1Gbps) and Russia(100Mbps), Providing Best Network connectivity and ease of hosting any type of applications. Ans:Host Buiness with ScopeHosts high powered Managed VPS hosting having Free cPanel, Host multiple Domains, Web Applications, Blazing Fastest SSD`s performing 20X Faster, World-Class 24/7 Awarding Winning Support, and maintain weekly backups. Enjoy the complimentary Hosting perks with ScopeHosts Managed Hosting Solution. Ans: We really don`t like to praise ourselves, but awards given by many hosting review companies for our excellence in service and support gives it all about our team commitment and dedication in serving customers. ScopeHosts provides 24/7/365 Managed Support with Managed VPS Hosting. Get Instant assistance on all your technical queries. High priority support always make you feel peace of mind. Ans: Yes, You can customize your VPS plan anytime. Check out our Instant Addons. ScopeHosts provides easy and affordable upgrades suitable to your business standards. Ans: This managed hosting solution includes premium VPS hosting features along with 24/7 managemet support by our technical experts and Free cPanel.